You may have heard about the magical skin-smoothing results of laser skin treatments, but didn’t feel like they were the right option for you: you may be afraid that high heat will damage your skin, or that you’ll have to spend weeks recovering as a scabbed-over shut-in. Thankfully, the advanced fractional laser technology behind the MiXto SX® CO2 Laser system increases the level of control practitioners have over the ablative, skin-rejuvenating capabilities of a laser treatment. 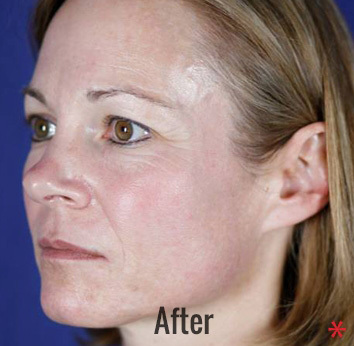 Due to the careful application of the fractured light, patients who choose MiXto SX® CO2 not only see their desired results in fewer treatment sessions, but they also enjoy a recovery that is half as long as the recovery required for other laser skin treatments. MiXto CO2 is not only safer, it has the multi-faceted ability to erase the appearance of acne scars, skin pigmentation, and keloids, as well as to smooth and tighten wrinkles. The treatment will do more than resurface the patient’s skin: the heat of a MiXto CO2 laser improves the deep health of a patient’s skin by stimulating collagen regeneration. To learn more about what a MiXto CO2 laser treatment can do for your skin, in fewer sessions than competing laser systems, call the helpful staff at Skin Perfect Medical Aesthetics today to schedule your complimentary consultation. The MiXto SX® is the latest technology in micro fractional CO2 laser skin resurfacing which can be used on all skin types for laser skin treatments. The MiXto Laser treats the face, neck, chest, hands, and arms and delivers more results in a 30-minute treatment than competitors can accomplish in 3 treatments with less discomfort, downtime, and cost. It is capable of resurfacing as well as rejuvenating the skin. Patients can turn to MiXto Laser to treat their acne scars, sun damage, hyperpigmentation, and eliminate facial wrinkles. The lasers are targeted but versatile enough to improve both fine and deep wrinkles. Due to the fact that the MiXto CO2 fractional laser system divides the skin into quadrants, the targeted beams hit the skin in controlled traveling intervals, giving the skin time to cool between its exposure to the laser. This creates less pain for the patient and the benefit of a shorter recovery. MiXto CO2 also enables your practitioner to control the amount of heat that will be delivered to the skin, and the depth of penetration. Additionally, MiXto CO2 successfully improves the health of the entire treated area. It accomplishes this by reaching the level of the dermis responsible for collagen reproduction. As we age, our body naturally slows down its production of collagen, which contributes to the loss of volume and youthful moisture in our skin. The targeted heat from the fractured laser communicates to the body the need to jumpstart this slowed collagen production. Over the months following a MiXto CO2 treatment, the skin will look smoother and brighter, because the collagen will both improve volume in the skin and accelerate its ability to heal. 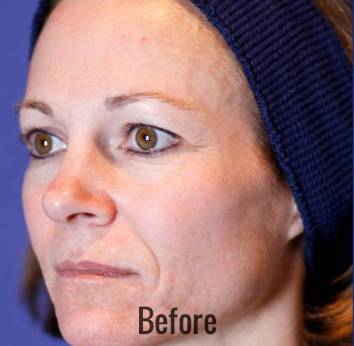 A single session with MiXto CO2 will take years off a patient’s appearance. Call the professionals at one of our Skin Perfect offices today to learn more about how MiXto can give you the healthier, more youthful appearance you’ve been dreaming about! MiXto SX® CO2 is capable of tightening and resurfacing darker skin tones, which, unfortunately, many laser skin treatment systems are not capable of doing. Ideal candidates are those who have tried to treat their scarring and wrinkles with topical creams but are not seeing the results they want. Patients who want to eliminate their acne scars, keloids, or skin discolorations caused by the sun, aging, or other hyperpigmentation are good candidates for MiXto CO2. Patients who have active acne may want to wait before their acne is resolved and any acne-fighting medication that could increase their skin’s sensitivity, like Accutane, has been completed 4-6 months before your treatment. While MiXto CO2 has shown to effectively improve certain severe cases of wrinkling, some patients may have a degree of wrinkling or sagging that will be better treated by an alternative skin rejuvenation method. The doctors at Skin Perfect will make sure that all patients are aware of their treatment options and receive the best solution for their unique issues. Your consultation is your opportunity to have any questions you have regarding MiXto CO2, as well as any other skin rejuvenation treatment, answered. After assessing your medical history, medication use, and goals for your skin rejuvenating procedure, as well as performing a physical examination of the desired treatment area, your Skin Perfect medical practitioner will be able to design a MiXto CO2 treatment plan capable of providing your ideal skin improvement. It is important to notify your practitioner about any medical conditions you may have that could interfere with your healthy recovery. 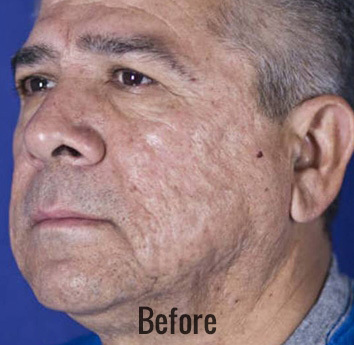 MiXto CO2 Laser’s advanced fractional technology makes it an ideal resurfacing option that is capable of addressing a wide variety of skin-related issues for patients of all skin types. Call the helpful staff at one of our Skin Perfect offices today to schedule your complimentary consultation. A patient usually has a topical anesthetic applied to their skin to keep them comfortable during their MiXto CO2 Laser treatment. Some patients may request a local anesthetic. During a MiXto CO2 procedure, focused, fractional light will be applied to targeted areas of the patient’s skin. The laser system divides the skin into quadrants. The MiXto CO2 system’s algorithm controls and spaces out the delivery of the laser’s heat to each quadrant, giving the patient’s skin the maximum time possible to cool between exposure to the laser. MiXto’s laser technology also enables the medical practitioner to control the level of heat applied to the patient’s skin. 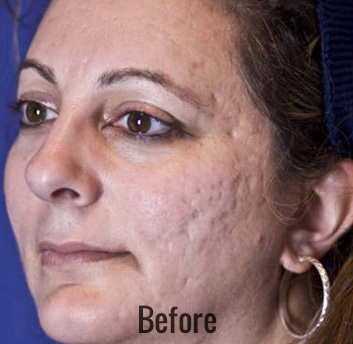 Using the targeted MiXto CO2 Laser, the medical practitioner will ablate scarring and discolored skin, while promoting the healing of the surrounding skin on a deep dermal level. The MiXto CO2 will be controlled to penetrate different levels of the patient’s skin in order to achieve the best, most accurate ablation possible. For example, one depth and setting may be used to ablate acne scarring, and another may be used on the surrounding skin to signal deep dermal healing, enabling the two levels of the skin to heal and meet each other smoothly. The heat from the laser will stimulate collagen and tighten the skin, improving the appearance of wrinkles and the skin health overall. A patient’s MiXto Laser procedure can usually be completed in a thirty-minute session. Due to the adjustability of MiXto’s laser system, most patients find one to two sessions are effective enough to give them the long-lasting tightening and smoothing they were looking for; often the results exceed their expectations! Due to the versatility and control achievable with MiXto CO2’s targeted fractional laser, the skin experiences minimal trauma during the patient’s treatment. This means that patients can enjoy a shorter recovery period than they would after a more traditional laser treatment. In fact, MiXto’s recovery period is usually half of what is required after other CO2 laser procedures. 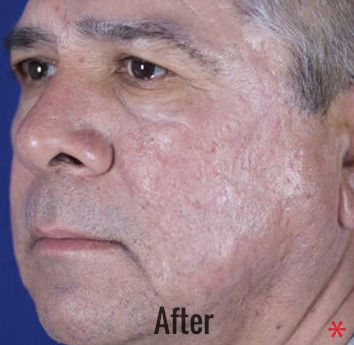 Following a patient’s MiXto CO2 laser treatment, they will likely experience redness and the tightening of their treated skin. These symptoms should abate after three to seven days. Some patients may also experience peeling or crusting during their recovery. Patients will be advised about the application of a moisturizer such as Aquaphor for the first three days of their recovery, after which they can transition to a Skin Perfect-approved moisturizer for the remaining recovery period. Most patients complete their recovery downtime in seven to ten days. Patients will also notice that throughout their recovery, and over the next six to twelve weeks, the volume, smoothness, and overall health of their skin will continue to improve. The MiXto CO2 laser stimulates collagen production within the skin, and the resulting these changes will become increasingly apparent over the three months following the treatment. 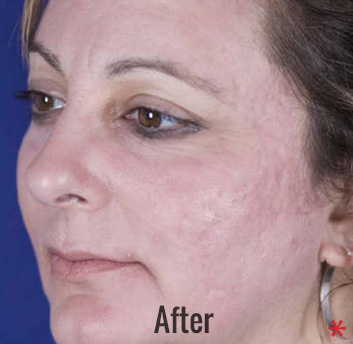 The results of a MiXto CO2 treatment will be visible as a patient’s post-treatment redness subsides. Even immediately following their procedure, patients note that their skin tightens and their wrinkles are nearly or completely erased. Once a patient completes their recovery downtime, they are able to enjoy a new appearance that is free from acne scars, pigmentations, or other texture-related issues. Patients eager to turn back the clock on their wrinkles will see both deeper wrinkles and fine lines, including those around the mouth and eyes, fade away. Patients will see their skin continue to become smoother and more elastic as their skin’s collagen production jumpstarts and renews both the deep and surface skin. Patients who do not see the results they want after one MiXto CO2 session usually see the skin smoothing and tightening they want achieved after a second session. The resurfacing a MiXto CO2 laser treatment achieves can last for years. Talk to your doctor during your consultation about achieving your ideal long-lasting results. The cost of a patient’s MiXto CO2 will depend on the area or areas the patient will have treated, as well as the specific issues their treatment will be designed to address. After a patient completes their consultation, a member of the Skin Perfect staff will provide them with a breakdown of their treatment’s anticipated cost. Due to the streamlined nature of the MiXto CO2 Laser system, it usually can be offered at a lower price than competing CO2 procedures. Call one of our Skin Perfect offices today to schedule your complimentary consultation for a MiXto CO2 Laser treatment.